The sheriff’s office, along with the University of Chicago Health Lab and other community providers, are teaming up to launch the new Supportive Release Center, just around the corner from the jail itself. 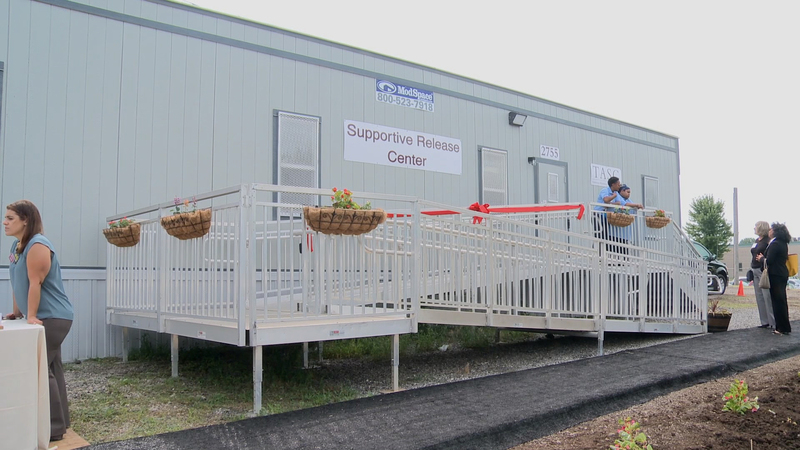 Organizers say it’s designed to provide a “softer landing” for people being released from the jail who suffer with mental illness, substance abuse or homelessness. “The big, big problem we face, though was, we did all this work inside the jail, and then scrambled like there’s no tomorrow to try to triage something on the way out the door, but we didn’t have the partners. We didn’t have them. This is revolutionary, what we’re talking about here,” said Cook County Sheriff Tom Dart. The center will provide people with a brief overnight stay and links to services like substance abuse treatment, supportive housing, job training programs and legal aid resources. The University of Chicago Health Lab is researching the impact of the center. Money that police officers use to prevent gun violence in Chicago is, itself, in danger. U.S. Attorney General Jeff Sessions is warning that cities receiving these funds—called Byrne Justice Assistance Grants, or Byrne JAG—must meet immigration compliance requirements, saying sanctuary city polices make the nation less safe. Durbin’s office says, since 2009, Chicago and Cook County have received more than $58 million in Byrne JAG funds.